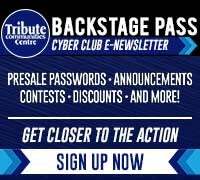 Don't want to miss another TCC presale? Groups of 12+ SAVE on select seats! 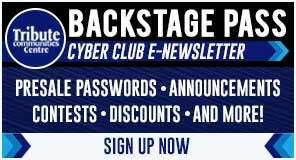 Groups of 50+ SAVE MORE on select seats! Hard to describe. Easy to love. Blue Man Group performances are euphoric celebrations of human connection through art, music, comedy and non-verbal communication. Since debuting at New York’s Astor Place Theatre in 1991, the live show has expanded to additional domestic residencies in Boston, Chicago, Las Vegas and Orlando, an international residency in Berlin, and multiple North American and World tours. 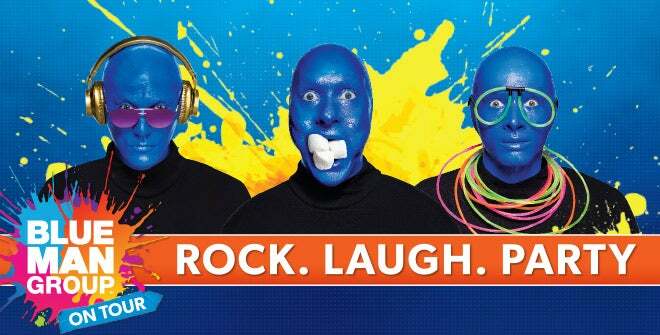 Blue Man Group is universally appealing to a broad range of age groups and cultural backgrounds, and continually injected with new music, fresh stories, custom instruments and sensory stimulating graphics. 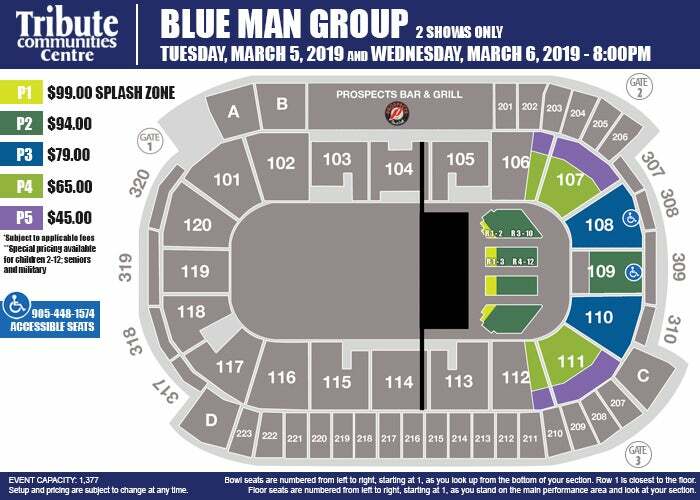 Don't miss the Blue Man Group when they are in Oshawa for two shows on March 5 and 6, 2019!